Is the Salt Water Flush Safe (If it works, and if it doesn't)? Is the Salt Water Flush Safe? What happens if it doesn’t work? The salt water flush is perfectly safe. Although it must be said that it is a little harsh, especially on your internal gut flora (microbiome), which you'll want to replenish with a probiotic after your master cleanse is complete. If the flush fails, the amount of salt is only 2 teaspoons. Did you know that the AVERAGE daily intake of salt intake is nearly 2 teaspoons per day. So half the western population is taking more (in some cases much more) than 1 SWF per day in the food. And that's table salt. The benefits of sea salt vs. table salt (and salt in general) are being proven every day as well, so the amount of salt you might absorbed is isn't something to worry about. Yes, people lost at sea die from drinking salt water, but that's because they drink it over and over again, and die of dehydration after many days because the bladder passes more water than it takes in due to the salt content. If you're lost at sea, I don't recommend the SWF (or the Master Cleanse for that matter). So the short answer to the this question is; Not much will happen to your body. You'll be just fine. Even if you try 3 days in a row with nothing but epic fails, you'll still be fine. But you will definitely why to address why your SWF efforts are failing. 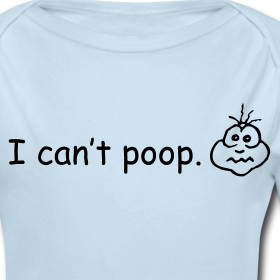 The biggest problem is that you won't poop for the day. 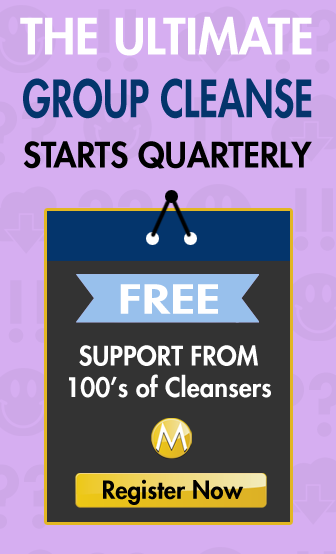 You need an elimination of the toxins you're preparing for detox each day. They're waiting in your colon and you want them out ASAP or you will start feeling sick. If you're doing the laxative tea and having a movment you're all set. If you're not doing the laxative and not having a movement. Change your approach now, or face the consequences. Dun dun, dahhhhhh. my blood pressure seem to spike, and i think the culprit is the salt water flush, tho i have no trouble drinking it down. my only concern is the safety of this for those who have high blood pressure. i do meditation so i can calm myself and get rid of the slight headache of the high bp that way, so i don’t fear too much for myself. Lemonade diet day 3: I cannot get the salt water down, no matter what I try. I have tried the lacitive tea, but it cramps my stomach and makes me feel like I am about to throw up. Does anyone think the laxative pills would be better? The only number 2 bathroom session I had was after the tea, which was all liquid. I feel almost constipated.. Lemonade Diet Day 5: So far so good. I am definitely not craving food, just miss the enjoyment of taste, chewing and eating with my family. It is a little hard to resist licking my fingers when preparing meals for my family, but miraculously, I have been able to wash it off instead. The problem I am having is that I am bloated from the salt water. I do the laxitive tea “Smooth Move” every night and the SWF every morning. I am definitely going to the bathroom a lot during the day, both kinds, if you know what I mean. :o) I seem to be gaining instead of losing weight, which I know is not the goal, but it scares me a little that I am retaining when I am drinking so much lemonade and water. What am I doing wrong? Have you tried just ditching the salt-water all together?? My hubby and I have bothe been losing the typical 1-2 lbs/day and visiting the bathroom often by just drinking the tea at night and again in the morning. Usually if you’re feeling bloated you’re “retaining” that salt-water instead of the desired cleansing effects. Meaning you dont have the right consistency and or ratios of salt/water. Make sure you are using purified water and “iodized or sea salt”,… NOT regualr table salt and in the RIGHT concentration of salt to water. I’d recommend just trying the tea for a few days.